Brianna joined Whitelaw Twining with extensive experience in general insurance. Before joining our firm, she worked for two international insurance companies adjusting and examining claims and also spent four years as a licensed insurance broker. She now practices in general insurance defence, with a focus on road maintenance and transportation claims. Her range and depth of industry knowledge is a major asset to our team. Brianna’s detail-oriented and investigative nature helps her tackle complicated road maintenance and transportation files. 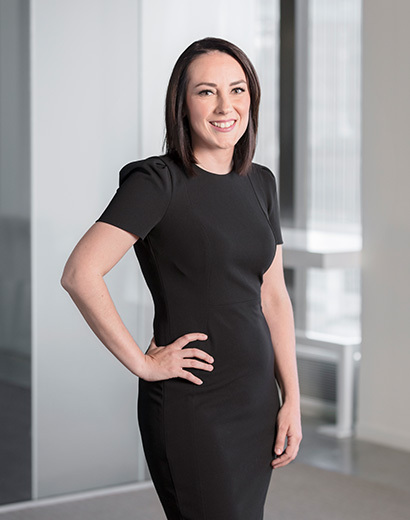 She has successfully resolved claims on behalf of contractors, road builders, corporations and owner-operators all over British Columbia through mediations and alternative dispute resolutions. She also has a strong record defending these parties and the province before the Provincial and Supreme Courts. In her free time, Brianna enjoys running, traveling, cooking and spending time with her dog Sadie.